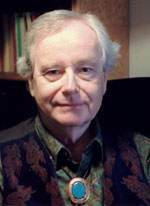 Ralph Metzner, author, professor, and explorer of consciousness, discusses the evolution of the field of ecopsychology, and how civilization steals from us a deep, spiritual, connection to wild nature. He also shares knowledge from his studies of shamanism and how to access knowledge from other realms. Ralph is the author of The Well of Remembrance, Green Psychology, The Unfolding Self, and many others.